I decided to create a new thread for my updates. The old thread, with pictures of my previous work can found here. 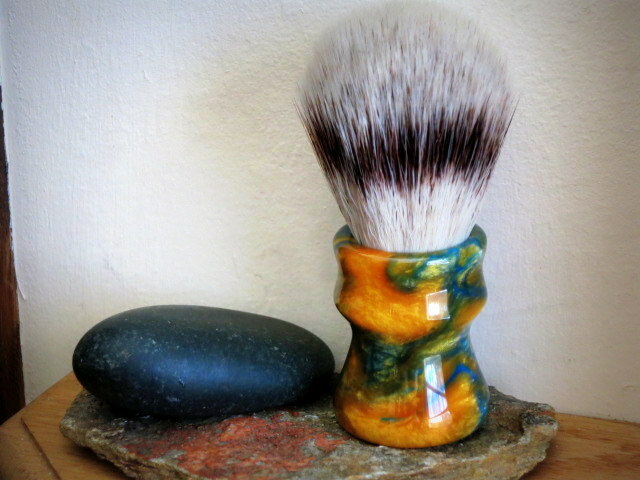 I have created a new brush in Leadwood and Cyanoacrylate (crazy glue) finish with TGN two band finest. 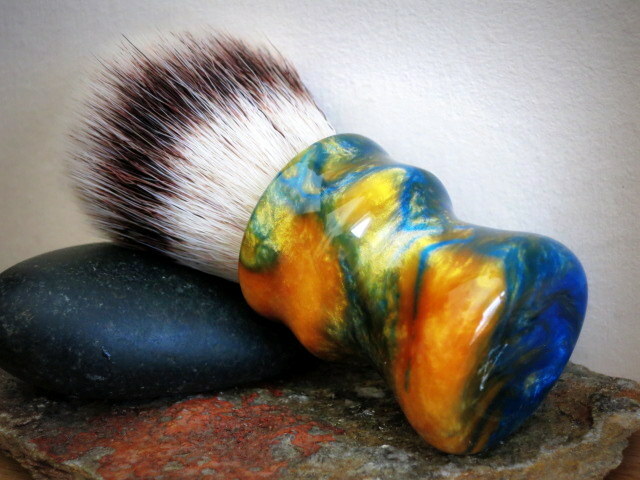 This a large chunky brush for the "Chubby" lovers. 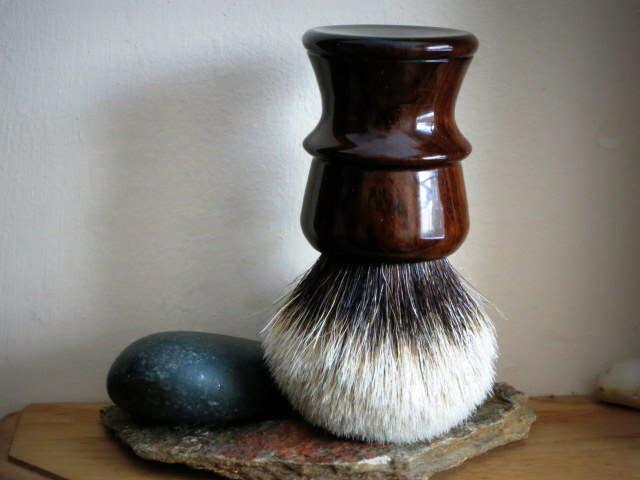 It is large, heavy and has a dense 30mm knot set at 47mm loft. 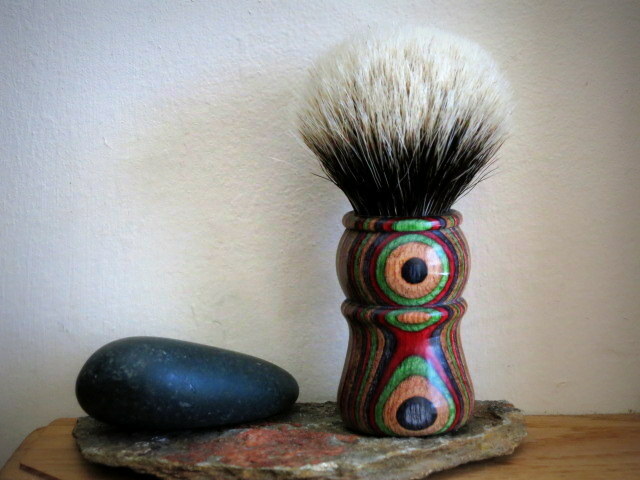 This brush is available in my Etsy store. 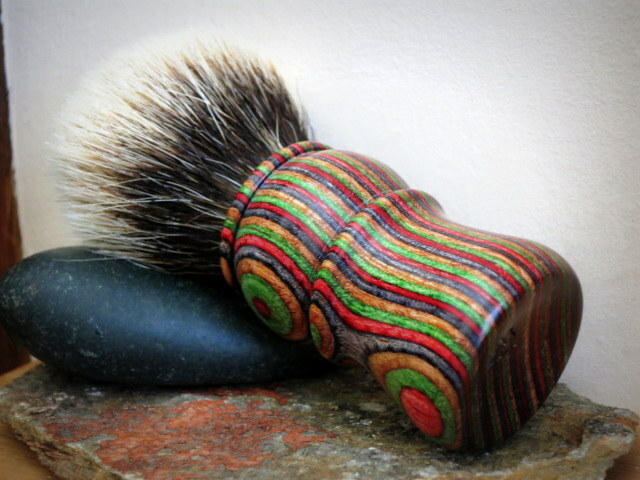 I really enjoyed turning this wood. It is a bit challenging, but gorgeous and very dense. I departed from my usual recessed bottom and went with a dished out bottom for a change. 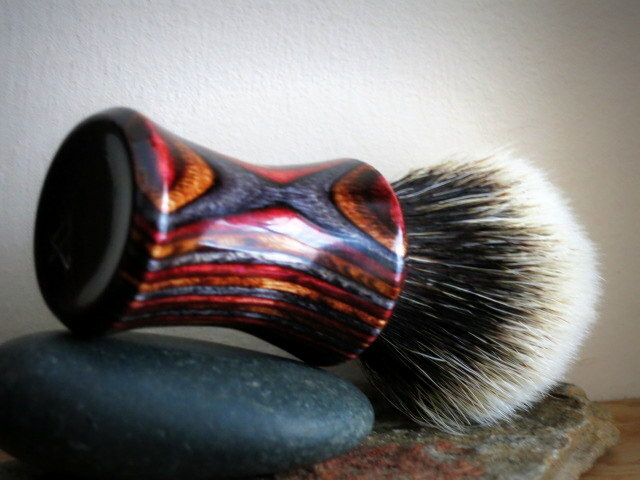 I think it came out very nice and feels excellent against the palm when held in the working position. I may do this more often instead of recess. Please comment on that. 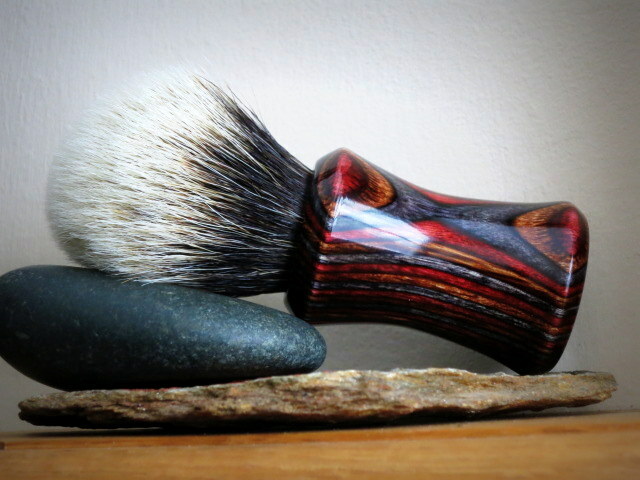 The CA finish on this brush is amazing and really pops the grain out. 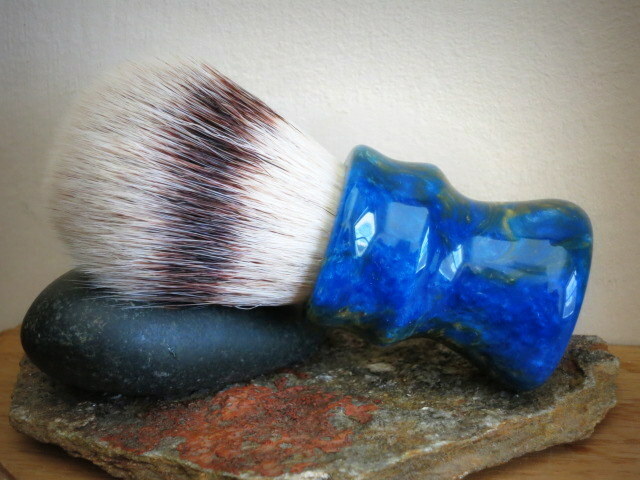 The photographs do not convey the presence of this brush fully. 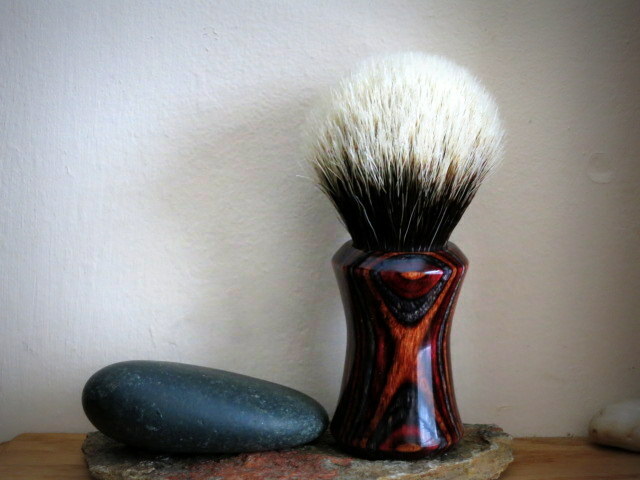 As can be seen from the last picture next to a SOC 2012 SE, this is a large chunky brush with a 45mm diameter handle. I am falling in love...for this beauty. And how about a second version in a matte varnish? 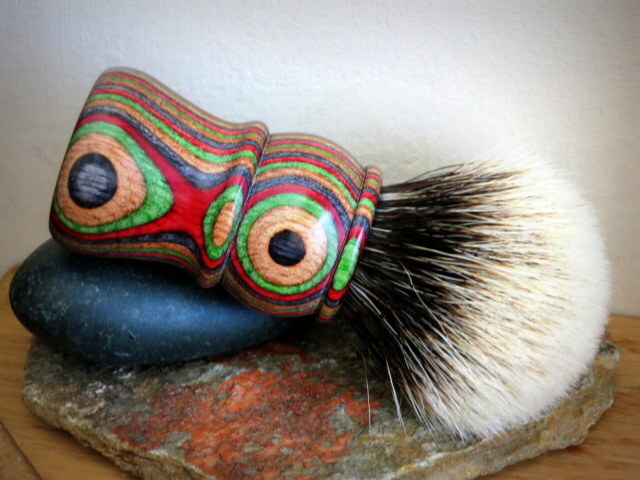 There are many wood handles that do nothing for me. 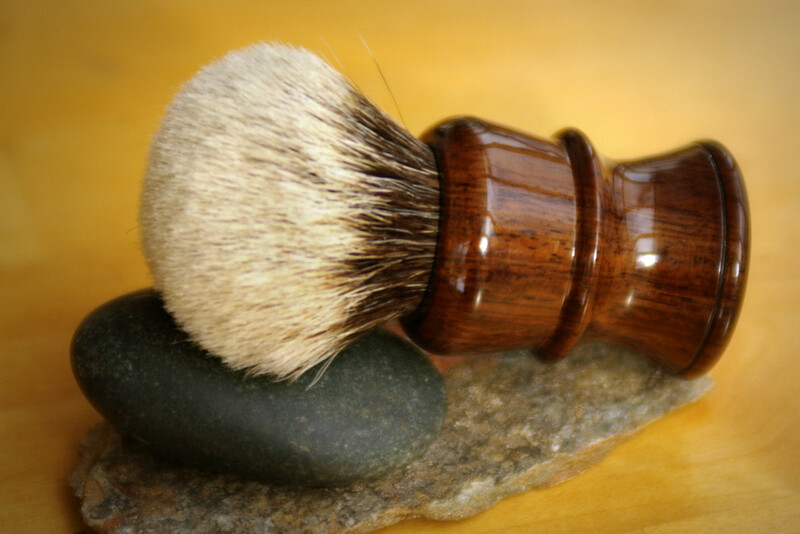 This one, however, is quite an attractive brush. Thank you for sharing the photos. Thank you, gentlemen. 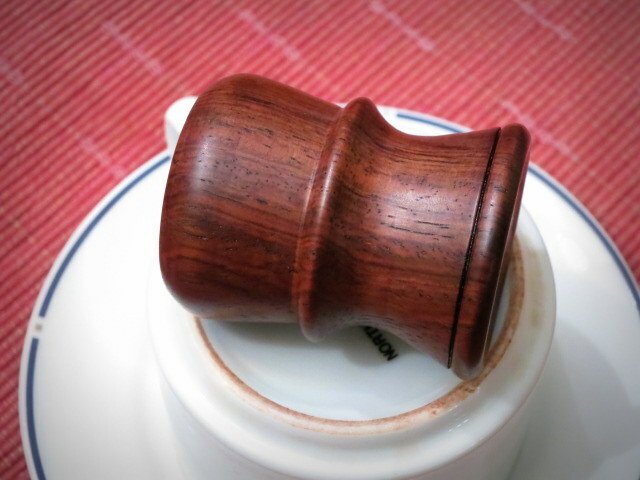 I really love the wooden handles with CA finish on them. It's like they are made of resin with high gloss. 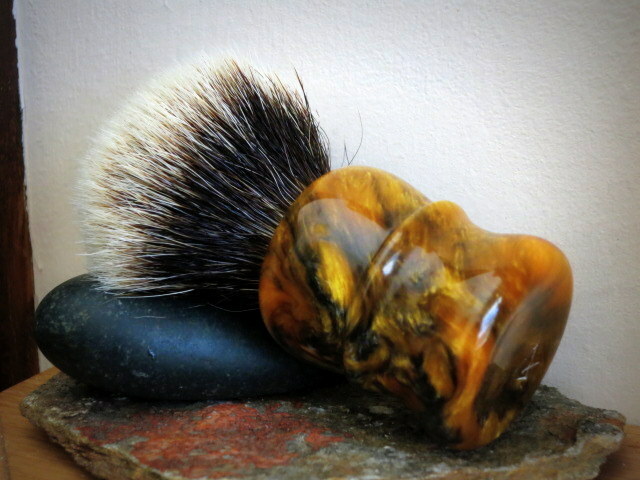 The exotic woods out there are so amazing I just drool when buying the blanks and want to buy them all. 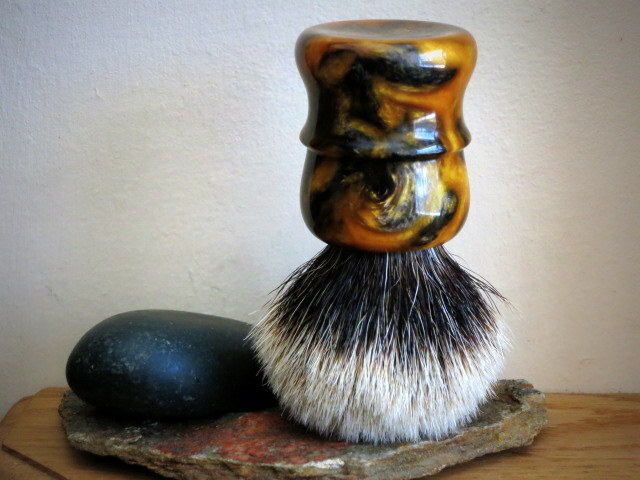 I have some box elder burl coming that should be pretty stunning. Can't wait. Oh, and did I mention that CA finish is totally water-tight and is as tough if not togher than resin? 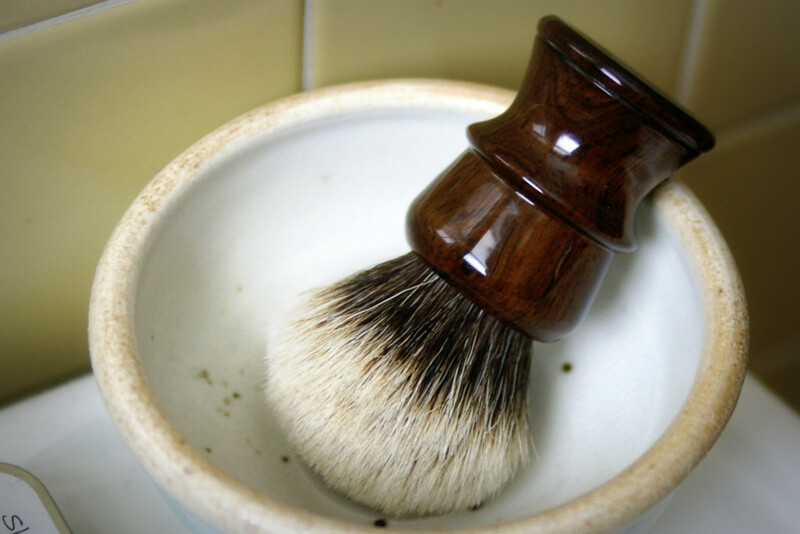 The wood on this brush will not feel a drop of moisture from shaving. Wow! i Want this right now! How beautiful is this! Great job Vladimir! (02-06-2015, 09:10 AM)C-NoEviL Wrote: Wow! i Want this right now! How beautiful is this! Great job Vladimir! That thing just came to life with the CA on it. Awesome stuff! I will have too very soon possibly. Have a lil lady I'll have to "convince". 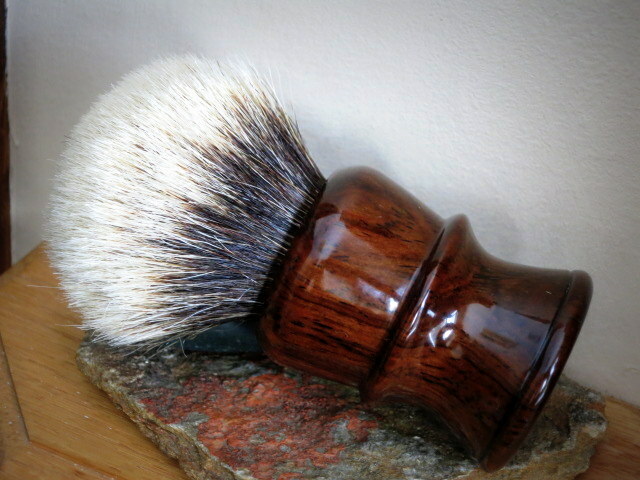 Great looking brush. Thanks for sharing. Beautiful colour and grain to that wood! (02-06-2015, 08:08 AM)Rui Marques Wrote: I am falling in love...for this beauty. 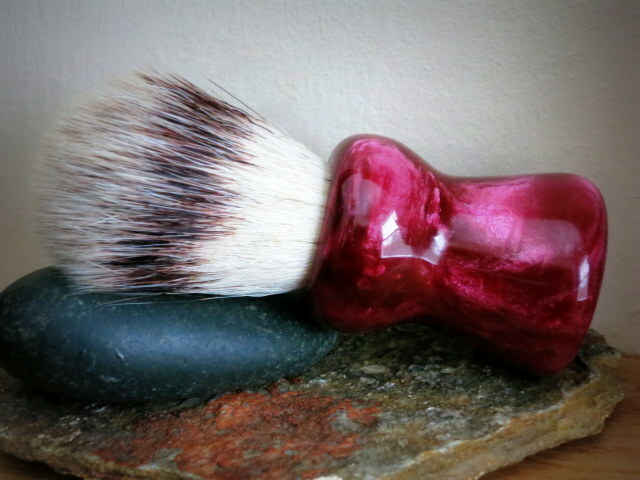 Rui, I can definitely do a matte finish on a wooden handle. I have done it before. 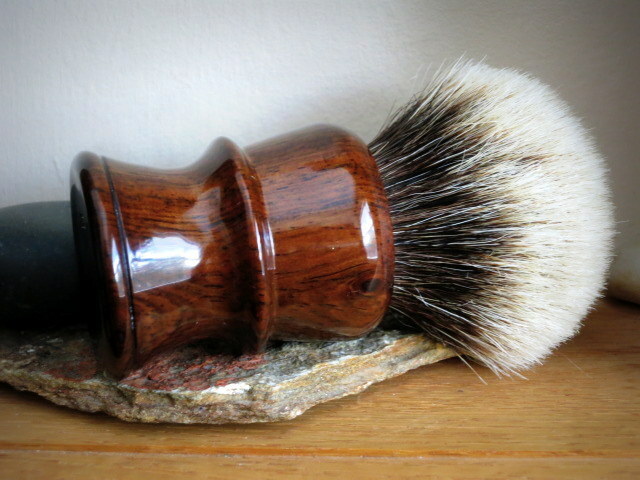 It leaves the wood more natural. 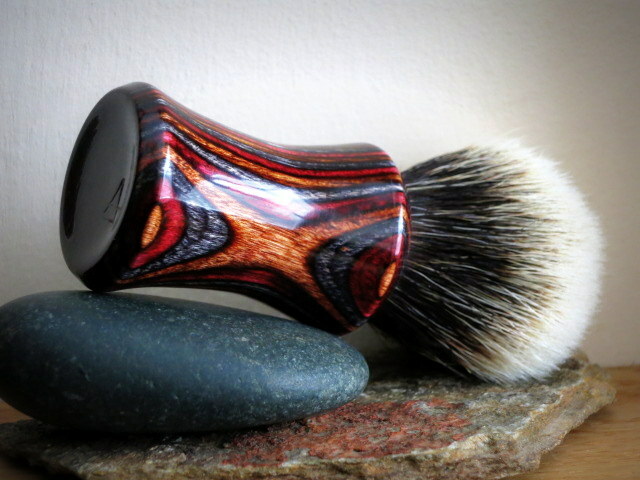 I use Danish Oil to wet sand the handle in any case, then either CA or polyurethane. Poly can be flat, semi-gloss or gloss. Works well. 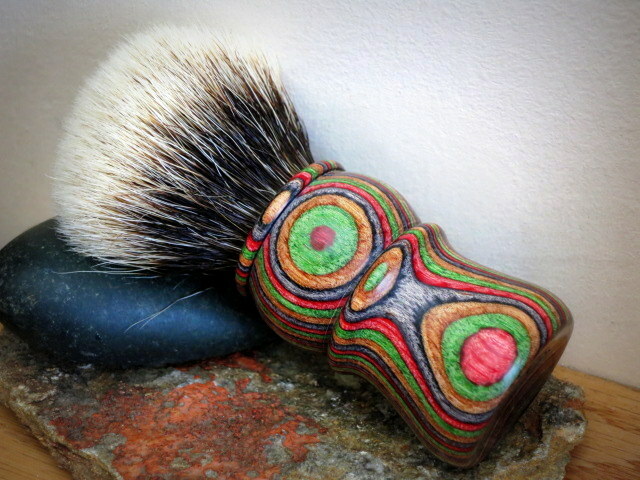 You can see I did one here with Ziricote wood and a large Omega boar knot. (02-06-2015, 02:44 PM)C-NoEviL Wrote: I will have too very soon possibly. Have a lil lady I'll have to "convince". 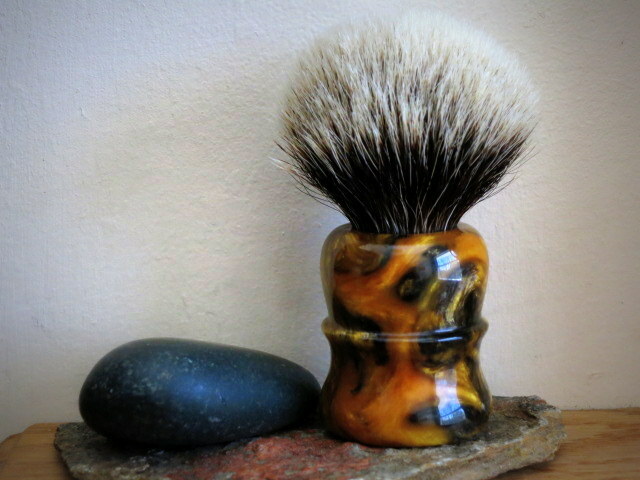 I have created two brushes by custom order. 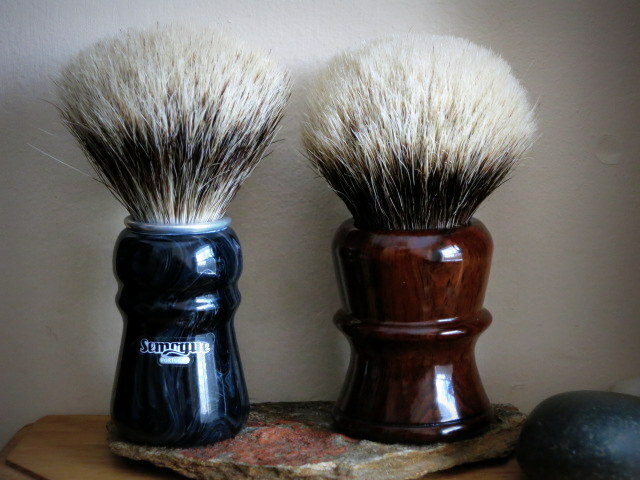 One is Synthetic in Red Wine Resin and one two band finest badger in Dymondwood. First the synthetic. 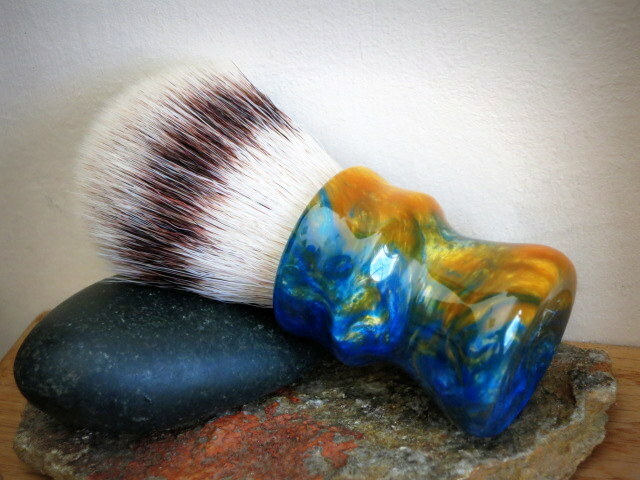 It is meant to be a travel brush. the knot was about 22mm, but I did not measure the other dimensions before boxing it up for shipping. Snow has garbled my brain, I guess. Now the two band in Dymondwood. That Dymondwood one is mine. 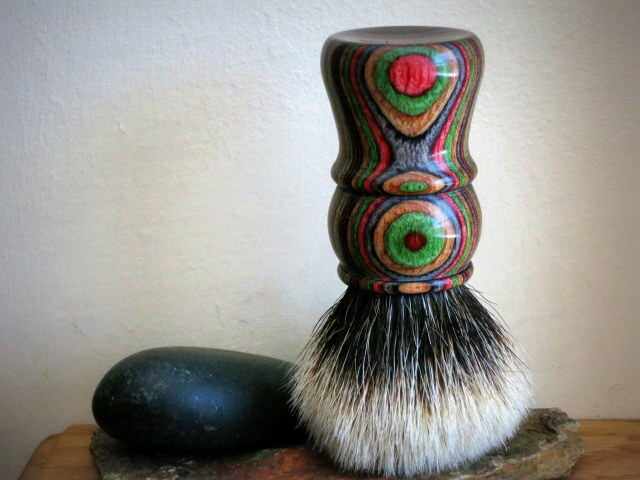 Vladimir has been awesome to deal with, and I can't wait to try the brush out. Looks amazing! 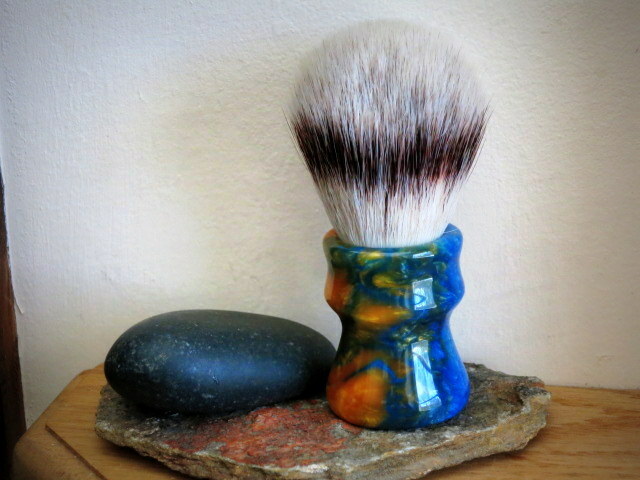 I have created three new brushes for my Etsy store. One with synthetic knot and two with two band finest knots. Synthetic in blue and gold resin. This came out really nice. I have started using dished out bottom instead of recessed. I like it a lot better and the feel of it is very nice to the touch. This resin is very interesting. It goes from deep blue to almost butterscotch/gold with lots of swirls in between making some areas slightly greenish. 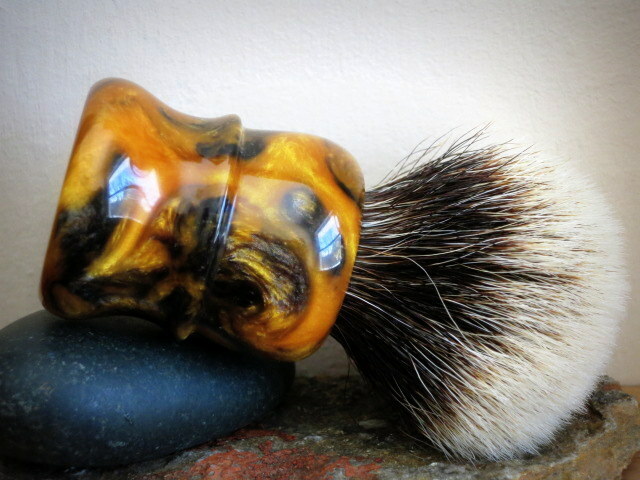 Two band finest in Black and Gold resin handle. This is also a very interesting resin. 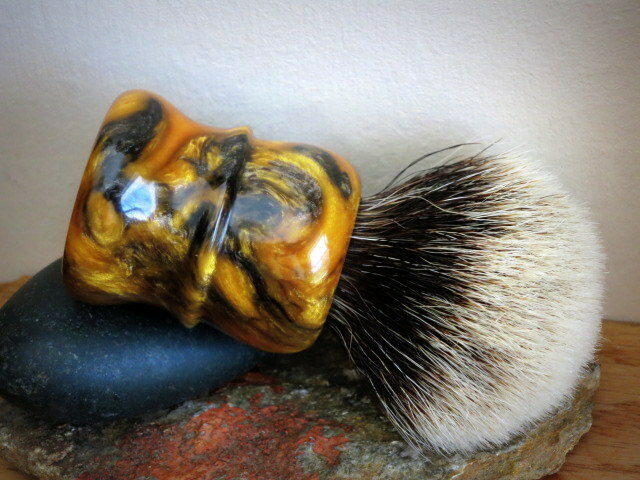 Very nice swirling and chatoyance is amazing. For the butterscotch pearl lovers. Two band finest in Timberland Dymondwood. 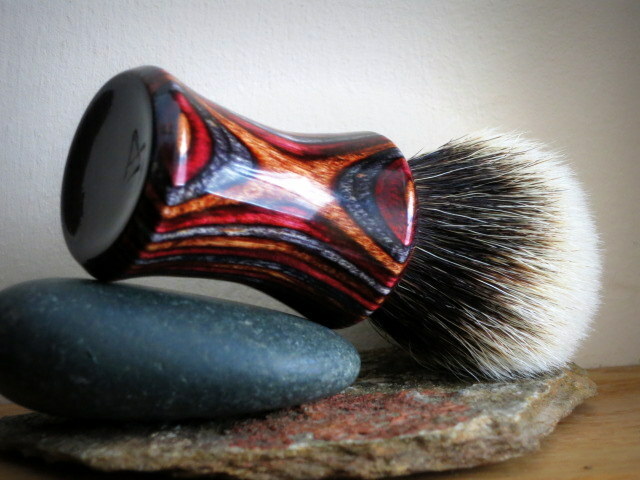 This pattern of Dymondwood is very contrasty and colorful. 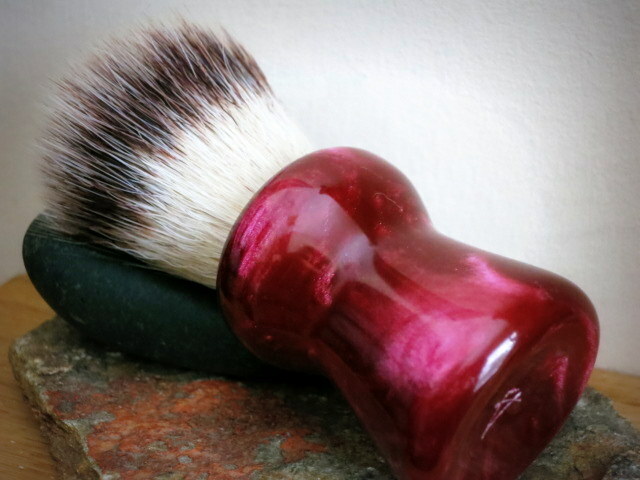 I chose not to apply CA finish to this one, but wet sanded it to 1500 grit and polished with plastic polish. This material is very resin-like and is completely water-proof. The finish without CA is a little more flat and lacks the glass-like shine. I like it this way. 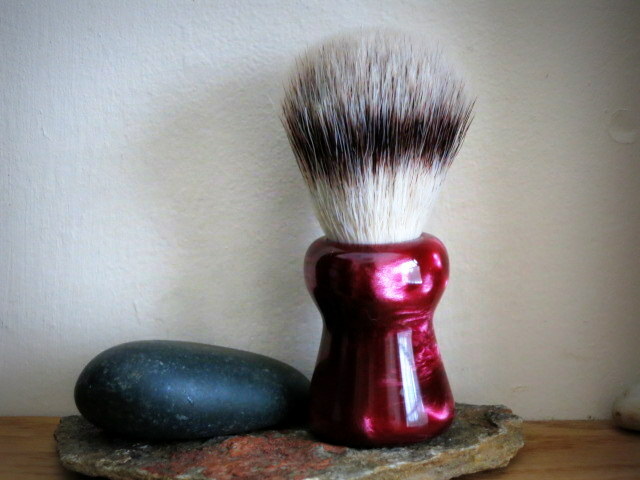 More fine looking brushes. The black-gold is particularly nice. Vladimir does excellent work, and the current batch of TGN Finest knots are equally excellent. I am waiting impatiently for my orders !